Institute of Hotel Management Catering Technology (IHM) Ahmedabad was originally established by the joint hard work of Government of India and Government of Gujarat in 1972 as Food Craft Institute. Later in 1984, Ministry of Tourism, Government of India upgraded the institute and renamed it to its current name. IHM, Ahmedabad, affiliated to National Council for Hotel Management & Catering Technology (NCHMCT), New Delhi. At IHM – Ahmedabad, the aspirants are trained by well qualified professionals having excellent experience in the field of culinary art. 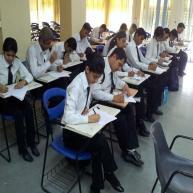 The institute offers three years full time course of Bachelor of Science in Hotel Management. During the course, the students are equipped with skills and techniques required for food production and beverage service. 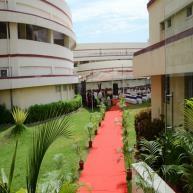 IHM – Bangalore also imparts Post Graduate Diploma in Accommodation operations and Hospitality Administration. Minimum qualification for admission is a pass in the examination of 10+2 system of Senior Secondary education or its equivalent with English as one of the compulsory subject. Those appearing in 10+2 or equivalent examination can also appear in JEE 2011 on provisional basis. Provisional admissions will stand cancelled if proof of having passed the qualifying examination (10+2 or its equivalent) is not submitted at the time of counselling or at the time of admission. Admissions will be subject to verification of facts from the original certificates/ documents to be produced by the candidates at the time of Counselling and at the time of admission in Institute. Even after admission to an Institute, if an applicant is at a later date found ineligible on account of having submitted false information or testimonials or for having suppressed any material information, his/her admission will be cancelled and the fee paid will also be forfeited. Decision of National Council in this regard shall be final. 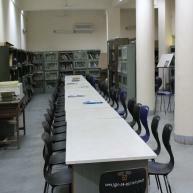 Are you Interested in IHM Ahmedabad.